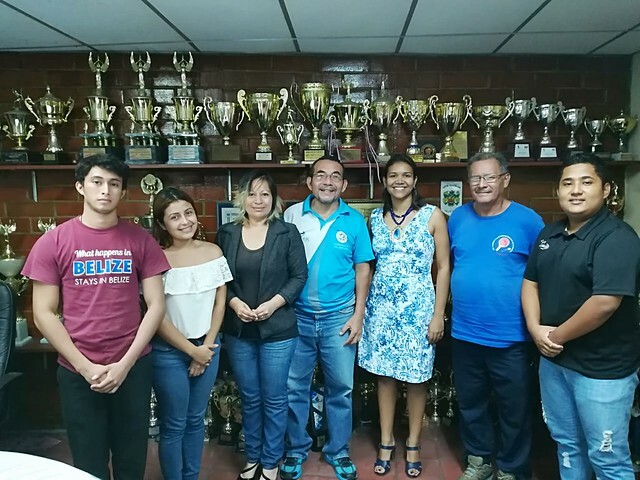 A Basic Umpires Course completed in San Salvador, the capital of the small Central American country of El Salvador; next on the agenda for Colombia’s Yoanna Ramirez was the task of leading a Basic Referees Course. Once again organised under the auspices of ITTF High Performance and Development in conjunction with the country’s National Institute of Sport, the venue throughout was the Palacio de los Deportes Carlos "El Famoso" Hernandez. Proceedings commenced on Sunday 20th May and concluded on Monday 21st May. A total of seven umpires being from San Salvador and La Paz attended. All members of the group responded to the efforts of Yoanna Ramirez; in particular 24 year old Roxana Carranza, a young lady with a degree in Physical Education was most enthusiastic. Likewise, Marlon Beltran, a 21 year old Law student was most positive. Now following both the Basic Umpires and Basic Referees Course, the El Salvador Table Tennis Federation has an increased number of officials who can make a positive impact on the sport. Understandably, Carlos Esnard, the Technical Director of the El Salvador Table Tennis Federation was delighted. Four members of the group passed the course. The participants in the course were: Roxana Elizabeth Carranza Arriaga, Claudia Marina Alvarez Linares, José Abel Guzmán Mejía, Roxana Beatriz Reyes Bonilla, Carlos Eduardo Hernandez Crespin, Candelario Evora Calderón and Marlon Josue Beltran García.